The Industrial Revolution has brought men to carve a route through mountains and cliffs to enable them to find work, sell produce and open trade relations with people on the other side of the mountain. With crude tools and meager resources, roads were cut through mountainsides for vehicles to pass through. Most of these mountain roads were built hundreds of years ago, some were rebuilt, others re-structured, while others still look the same as it did when it was first constructed. 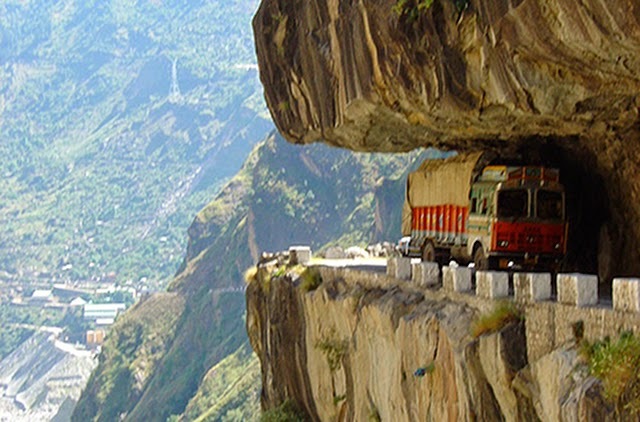 Take a look at some of Asia's mountain roads. Awe-inspiring, jaw dropping and outrageously dangerous. No novice drivers in these areas please. The highest paved road in the world with an elevation of over 15,000 ft above sea level, the Karakoram Highway stretches from Kashgar in China's Xinjian Province in the North, all the way to Hasan Abdal, Punjab, Pakistan in the South. Its total length of 808 miles (557 miles in Pakistan and 251 miles in China) snakes along the Karakoram Mountain Range. Construction of this road took 20 years (1959-1979), with over a thousand workers losing their lives to landslides and falls. Officially opened to the public in 1986, this mountain road goes by many names - KKH (Karakoram Highway), N-15 (Pakistan) and G314 (China). This 93 mile (150 km) mountain road located in Northern Luzon, Philippines is included in the list of the World's Most Dangerous Roads. At an elevation of 7,299 ft (2,225 meters) above sea level, the Halsema Highway is the highest altitude highway in the Philippines. During the Commonwealth, when the Philippines was under American rule, Eusebius Julius Halsema, an American Engineer and Mayor of Baguio City proposed this project to construct a road that would enable vegetable farmers to bring their crops into Baguio City. Unfortunately, the US government refused to fund the project forcing Halsema to seek the help of the local townsfolk. The tight hairpin turns, lack of guard rails in some areas are some of the factors that earned Halsema Highway a spot in the list of the World's Most Dangerous Roads. In this present time, despite rehabilitation efforts of the government, the slippery asphalt, thick fog, and the threat of rock falls, and landslides still pose a grave danger to motorists plying this route. The east and west coast of the island of Taiwan is separated by a mountain range that runs from the north to the southern tip of the island. This was a hindrance to the movement of goods and people as they had to go around the mountains to get to the other side. The destruction of the Central Cross Island Highway in 1999 by a strong earthquake followed by a strong typhoon in 2004 rendered it to be closed indefinitely. 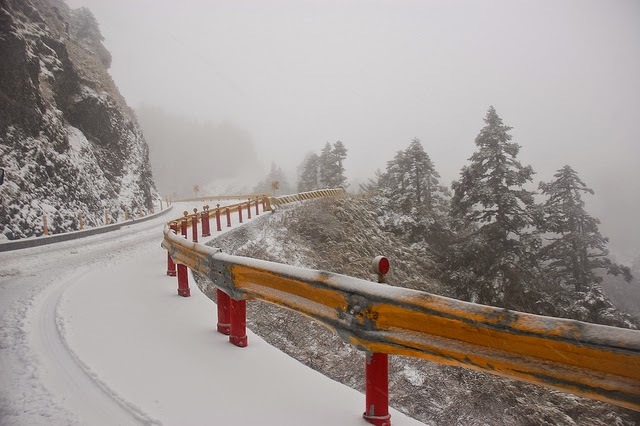 At present, the He Huan Shan Road is the only access road connecting the province of Taichung (West-Central Taiwan) and Hualien (East-Central Taiwan). He Huan Shan Road is dangerously curvy, located 19,744 ft (3,275 meters) above sea level and winds around the narrow Taroko Gorge. 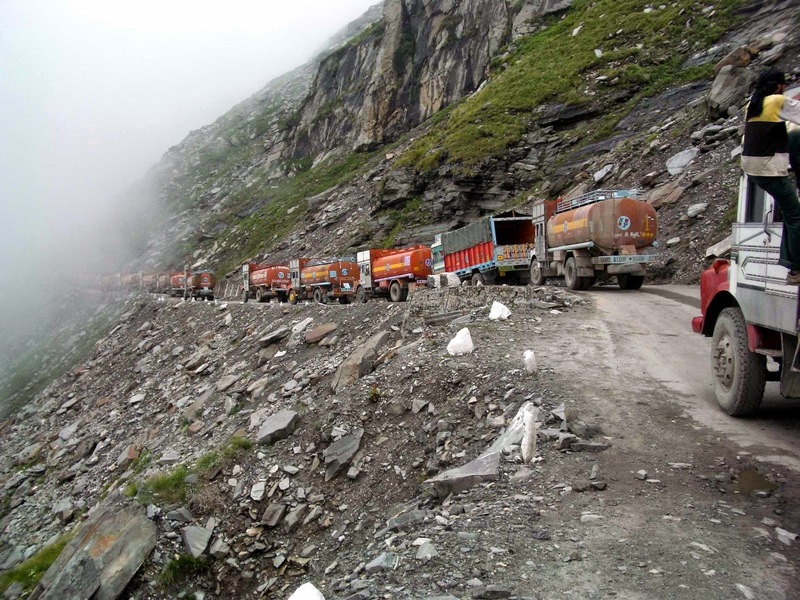 Situated at a height of 13,051 ft (3,978 meters) above sea level, the Rohtang Pass in India is a dangerous road to take. Closed to traffic for several months in a year due to heavy snowfall, mudslides and rockfalls, the Rohtang Pass is exactly what its name represents. In the Bhoti dialect, "Rohtang" means "pile of corpses" due to the numerous deaths of people trying to cross the pass. Rohtang is of economic and strategic importance to India because this road provides access to people in both sides of the Pir Panjal mountain range. Rich cash crops from the valleys are transported through this route to the business districts. I would love to see the views from these mountainside roads. However, I don't think I have a heart that strong to travel there by road. Maybe when I get rich, I'd charter a helicopter and view it from the top. That would be an experience of a lifetime. Chalk that up to my bucket list! Thanks for sharing this wonderful trivia with us and including pictures as well. The Karakoram Highway photo is fantastic! They had to build the road through the mountain and you can clearly see where they chipped away and dug in to make that road. The road in Baguio is definitely scary.. And I can imagine how that road full of snow can still be used. I would not dare drive there! Those roads are nothing but crazy! That one show that was about extreme truck driving on roads like this was definitely an eye opener to what some people do for a living! Those are some scary looking roads, it would be difficult to drive on them. Those are some scary pictures, I would be nervous being on them. These are scary roads.. I got my own story while trekking Mountain province highest peak going to Lepanto Mining Corp. Whah..yung ibon na lumilipad, mas mababa pa sa bus namin. Great captures! I don't know if I would be brave enough to travel on any of these roads but the surroundings look amazing! Wow what a collection of crazy roads! I bet they have incredible views, but I would be very intimidated to ride on them!! Thanks for sharing! I would be scared to death to cross these roads! My heart would beat so fast if it happens! These mountain roads are both impressive and scary. Makes a part of me want to pass it and another not to. Wow! 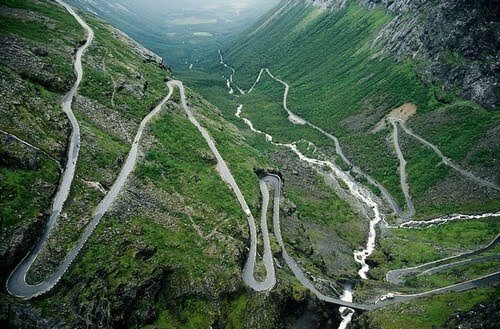 Those are some pretty crazy roads but the pictures still look pretty cool. I like the second with the winding road. It looks like a snake road and the snow one is very pretty.